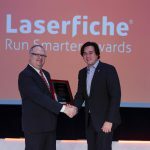 LONG BEACH, CA (January 16, 2014)—Laserfiche has announced the winners for the government category of its annual Run Smarter® Awards program. Ada County Highway District (ACHD) uses Laserfiche across the board to increase the efficiency of its operations. It has active workflows to manage correspondence and formal bid contract procurement, and it is working to create a workflow to handle public records requests. The City of Westminster uses Laserfiche to help compliance with its records retention schedule. It also uses Laserfiche Mobile to give employees access to meeting documents via their iPads. By using Laserfiche, the city saves thousands of dollars and man-hours each year. Muscogee (Creek) Nation Department of Health uses Laserfiche across five clinics, three hospitals, ten departments and six programs. 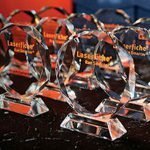 Using Laserfiche has led to greater organizational efficiency, allowing the organization to free up 250 square feet of file space by digitizing records. 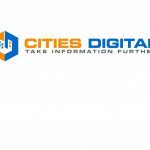 Loudoun County, which was recently named one of America’s Top Digital Counties, has used Laserfiche to build 58 solutions for 21 departments, eliminating 20 legacy systems along the way.